A few years ago I was part of an expert panel discussion on “How to care for yourself while caregiving” through WEGO Health and one of the other panelist, Ben Murphy (@athletdad) shared a great point. He said that one of the biggest obstacles to caring for ourselves and others is that we don’t give ourselves permission to fail. Having both worked with and been a caregiver, I understand that we all want to do the right thing all the time when it comes to caring for someone we love. 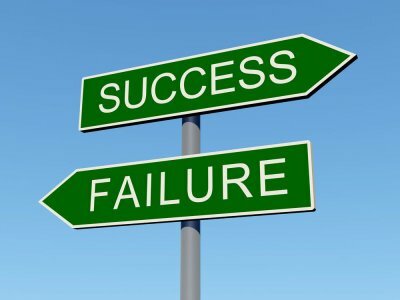 Unfortunately we are human, therefore we will more than likely meet with a few (if not many) failures during our journey. Reacting to a caregiving emergency instead of pro-active planning as we recognized growing issues. 20/20 hind sight. They share their coulda’, shoulda’, woulda’s with me and, at times, the sense of guilt and sadness is overwhelming. Caregivers tend to forget that they are human and as such they are doing the best they can with the information given to them during a stressful time. Allowing yourself permission to fail doesn’t mean you stop trying, it means that you are not always going to be perfect. It may mean you feel disappointment in yourself or in others. The issue becomes when you get stuck in that failure, reliving it over and over, even years after your loved one has passed away. The reality is you can choose to move on from your failure. Failure is a temporary condition. You tried something, it didn’t work, and it’s over. Unless you have a time-machine and can go back and make a different decision, continuing to dwell in a past failure is an exercise in futility. Remind yourself that you are human and with that comes times of failure. Keep a list of your successes (small and large). Create a support system: People who will listen and encourage you when you feel stuck in your failures. Most importantly give yourself permission to fail and MOVE ON! Tomorrow is a new day, with new opportunities for success. You can do it. This entry was posted in against all odds, boomers, caregiving, eldercare, elders, encouragement, forgiveness, health care, making a plan, sandwich generation, taking care of yourself, work/life/flex, working caregiver and tagged against all odds, boomers, caregivers, caregiving, caregiving and stress, eldercare, elders, encouragement, failure, family, forgiveness, forgiving yourself, health care, Healthcare, just stuff, making a plan, sandwich generation, success, support, taking care of yourself, thomas edison, truth shall set you free, work/life/flex, working caregiver. Bookmark the permalink. Hi I think that your blog is really nice!